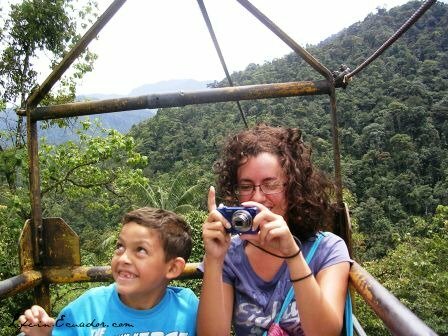 One of the coolest places in Baños, Ecuador is the Casa del Arbol. 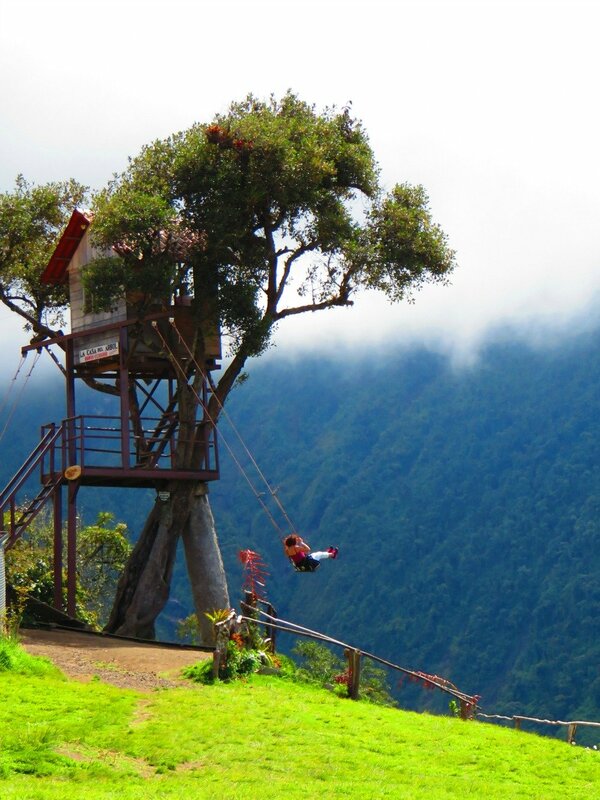 This tree house is built on the edge of one of the mountains next to the Tungurahua Volcano. On a clear day you can see it clearly. The volcano has been active since 1999 and climbing has been prohibited since that time, so this is about as close as you can get to it. There is equipment here monitoring the activity of the volcano. We could actually hear the volcano rumbling the day we were there and clouds of ash where coming out. Behind the white is the volcano! It was cloudy the day we went. The main reason people come is for the photo opp on the swing. Originally there was one tree swing on the tree house, but concerns about safety led to the remodeling of the tree house. Now the entire structure is supported by steel beams instead of by the tree. A second swing was added as well. 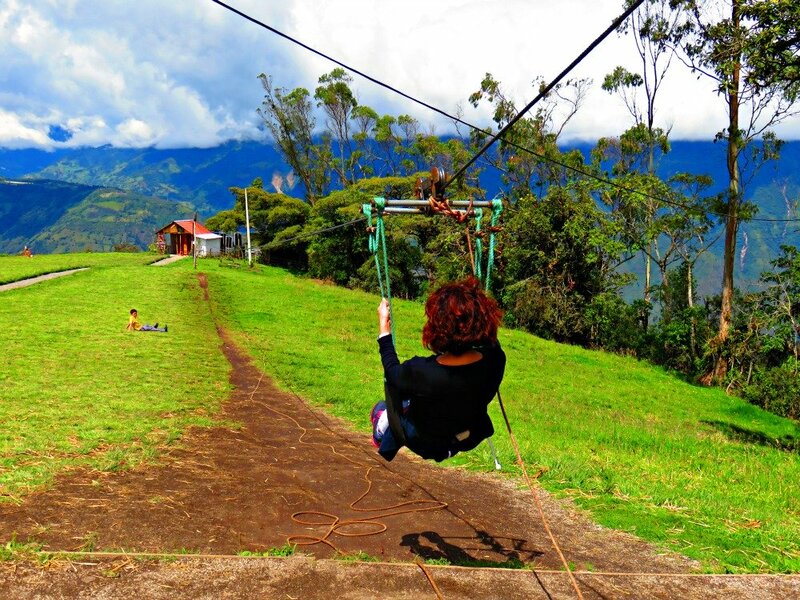 There is also a zip line that is fun for kids or the young at heart. Plus there is a small restaurant and restrooms (we were charged to use the bathroom at the restaurant before you enter the complex - inside they are free). There is another swing right near the Casa del Arbol. It faces the other side of the mountain and didn't seem as impressive to us. We saw people biking, walking and taking the bus to the tree house. You could also take a taxi or go with a tour group. Personally we drove. It's straight uphill the whole way! There are several other attractions along the way. Some are very similar to the Casa del Arbol, but the views seem to be less spectacular. 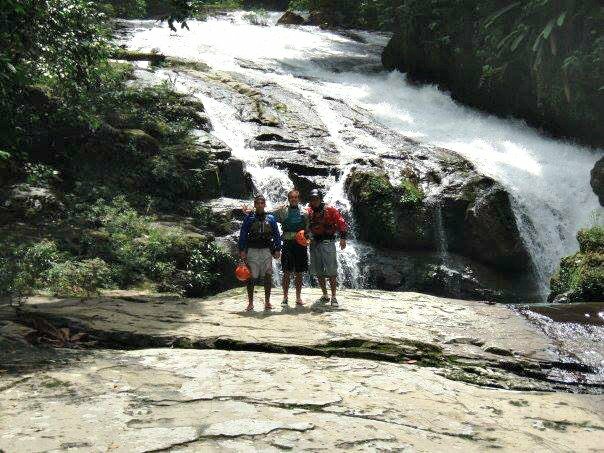 Walking: You can walk, but it is quite the hike. 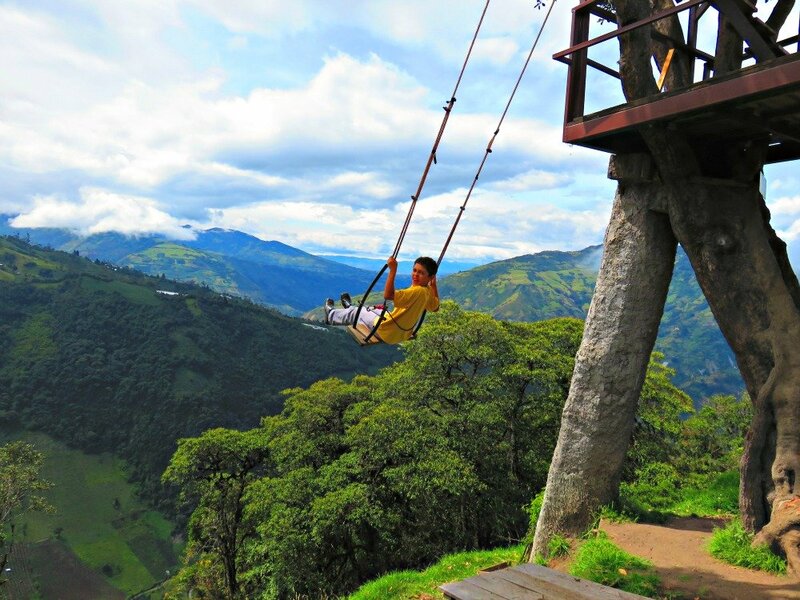 I would suggest the hiking path from Baños that takes you to the Mirador Runtun. From the lookout spot go out to the main road and follow the signs. Biking or driving: To bike, take the road out of Baños toward Puyo. You will see a fork in the road to the right to Runtun. If you cross the Ulba bridge you've gone too far. Follow the signs. Bus: There is bus that takes you right to the entrance. Look for buses going to Runtun. The buses leave at 11 am, 2 pm, and 4 pm. This is a must see place. The views are amazing! The swing is fun! Totally worth the dollar to enter.